If you caught the broadcast of Budget 2015 on TV, you might have been reminded of your own budget (which might have shrinked significantly post-CNY). From doing charity work to receiving cash rebates when you spend, get more bang for your buck with these online shopping sites. Shopback is what you’d get if the Great Online Shopping Festival (GOSF) was held all year round. It offers cash back on top of the rad discounts offered by participating shopping sites, and if you think they only have fashion sites on board, think again: available categories range from Food and Drink, to Travel. Some of the deals available include a 5% cash rebate on New Balance sneakers, and a 9% cash back on travel deals — this is in addition to the discounts already being given out at the NATAS Travel Fair! Pomelo is known for always being at the forefront of Asian fashion. Its unique name is derived from the company’s Southeast Asian heritage: they’re based in Bangkok, while Singapore is one of its key markets. “Plus it’s a fruit that’s always in season, fresh, sweet, and sour (sour = double meaning in Thai to mean sassy) — all things that kind of describe us. And we love the sound of the name of course!” says Pomelo’s Style Editor Tara. Having caught the attention of top fashion magazines such as Cleo, Marie Claire, and HerWorld soon after its launch in 2014, Pomelo has proven itself as the online shopping site for any girl who dares to stand out from the monotonous crowd. 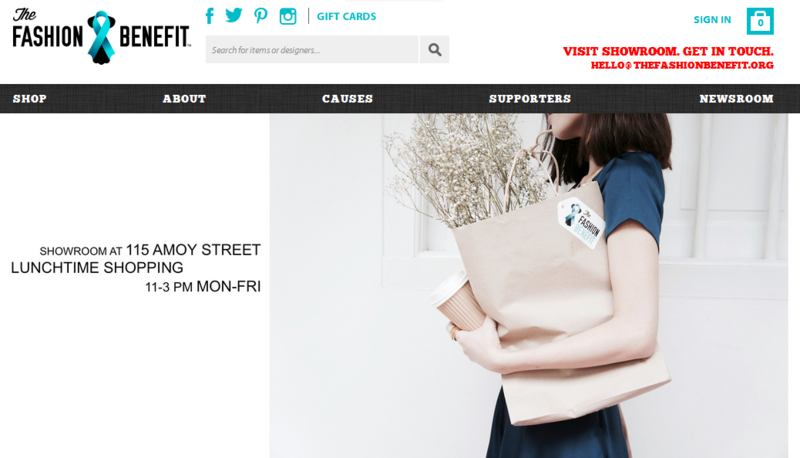 Their unique pieces are all designed in Korea, and are updated twice each week with a year-round return service. 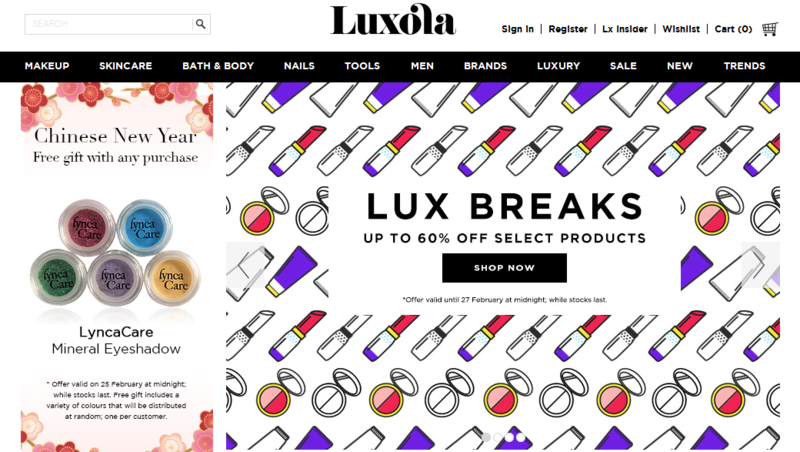 For those who have not heard of Luxola, it’s a hotspot for online purchases of beauty products for both men and women. Founded by Alexis Horowitz-Burdick in 2011, it has since grown into Southeast Asia’s leading online beauty store. 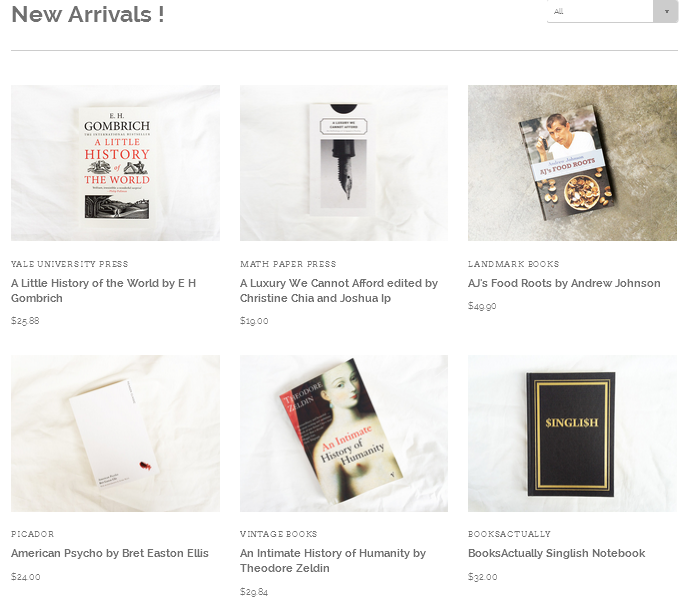 One of our favourite features on the website is its Editor’s Picks tab, which introduces brands and products to first-time customers. It’s a nice touch — one which is unfortunately seldom found on online shopping portals. Luxola also offers a cash-on-delivery option, which is great news for shoppers who want the extra security of being able to pay only upon receiving their goods. If you’re looking for ethereal pieces that can be worn for any occasion, look no further than Smooch the Label. Its founder, Sarah, started the business in 2010, and handpicks pieces to be manufactured for the brand. Each one is designed with her own unique flair, and design inspirations can be found on their dedicated blog, which is maintained by Sarah and her team. With over 8000 followers on Instagram and 14,000 ‘likes’ on Facebook, this brand is definitely one to look out for. We previously gushed about Megafash in an earlier post, and since then, the brand has expanded to include more participating brands, transforming itself into an online conglomerate of shopping outlets. It aims to connect independent brands and creative projects on the platform, so that they’ll be easily accessible to an international audience. 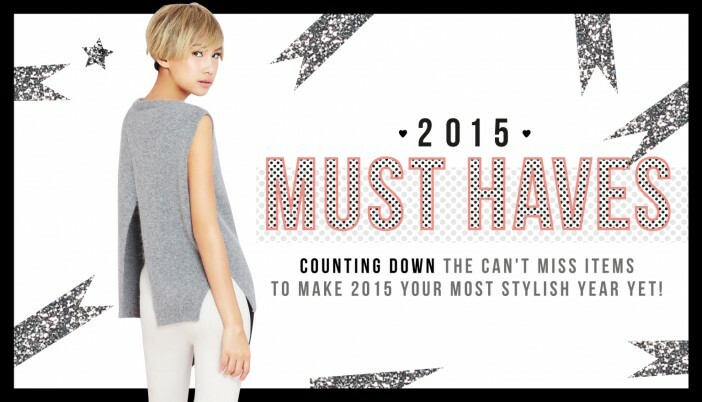 If you haven’t already heard, Megafash is having a rad sale until 28 February 2015! Customers can have their selection of pre-loved luxury items delivered to their doorstep from the fairy godmothers at Style Tribute. The site offers a unique buy-and-sell service, and the team conducts thorough quality checks on luxury items contributed by sellers before listing them online at a fraction of their original prices. The team’s sharp business acumen and niche in the market of high-end fashion have earned them adoring media coverage by The Business Times, Citynomads, and Cosmopolitan, among many others. Online shopping is not all about fashion. BooksActually was founded in 2005, and is an independent bookstore with an eclectic library of books — both well-known and obscure — written by local and international authors. They also have their own line of stationery called Birds & Co., which are all handmade and come in limited editions. If you prefer to feel the pages of actual books at a physical outlet, you’d be glad to know that BooksActually has a brick-and-mortar store tucked away at No. 9 Yong Siak Street, Tiong Bahru. It is perfect for the literature aficionado, and for those who wish to see their resident cats roam around the space. A visit to BooksActually is a shopping experience that is, literally, one for the books. If you’re feeling rich post-CNY, why not give some of your new found wealth to charity? The Fashion Benefit is a non-profit organisation that gathers ethical retailers — who share the same ethos towards making a difference in the world — in one place, so that shoppers get easy access to their products. For every item purchased online, The Fashion Benefit donates USD$5 to a charitable cause. Their present beneficiary is the underprivileged in Poipet, where they address both healthcare and educational needs. Items on the site don’t come cheap, however. A quick check on their online store shows that prices start from at least USD$50 after discount. For the gents who would rather spend their time looking good than rummaging through racks of clothing for the perfect fit, Tate & Tonic is here to help. 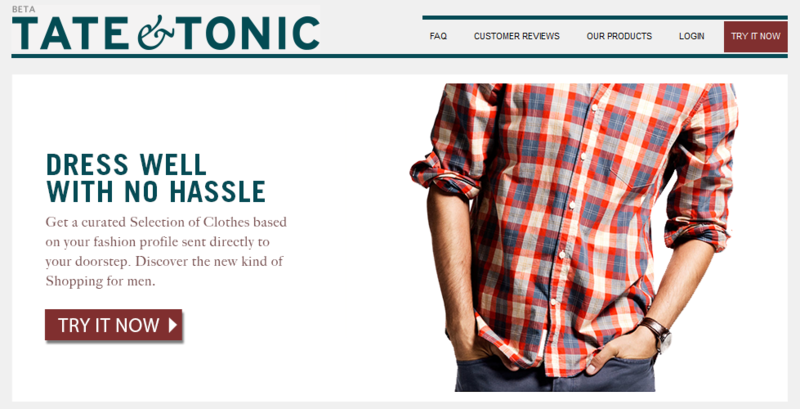 Customers first fill up an initial style questionnaire, and based on these responses, one of Tate & Tonic’s personal shoppers will select a number of styles they find suitable. A box containing the selected items will then be dropped off at the your doorstep. All you have to do is suit up and pay for what you want to keep. Returned items will be collected from the mailing address for free. The team behind HipVan is on a mission to bring customers products that are not only creative, but highly functional as well. In addition to the many brands it has partnered with, HipVan also has a dedicated section for Singaporean brands where local designers can showcase their products. Some of these include a taste of cheeky Singaporean humour, making them fun souvenirs for both tourists and locals. Part of the excitement of shopping stems from finding something new, and these 10 brands are definitely bringing novelty back into online shopping.